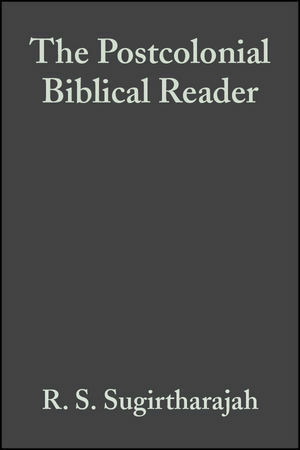 This wide-ranging Reader provides a comprehensive survey of the interaction between postcolonial criticism and biblical studies. Examines how various empires such as the Persian and Roman affected biblical narratives. Demonstrates how different biblical writers such as Paul, Matthew and Mark handled the challenges of empire. Includes examples of the practical application of postcolonial criticism to biblical texts. Considers contemporary issues such as diaspora, race, representation and territory. Editorial commentary draws out the key points to be made and creates a coherent narrative. R. S. Sugirtharajah is Professor of Biblical Hermeneutics at the University of Birmingham. Prior to his current appointment, he was Senior Lecturer in Third World Theologies at Selly Oak Colleges, Birmingham. His previous publications include Postcolonial Reconfigurations (2003), Postcolonial Criticism and Biblical Interpretation (2002), The Bible and the Third World (2001), and The Bible and Empire: Postcolonial Explorations (2005). Introduction: Theoretical Practices. (R. S. Sugirtharajah). 1. Charting the Aftermath: A Review of Postcolonial Criticism. (R. S. Sugirtharajah). 2. Biblical Criticism and Postcolonial Studies: Toward a Postcolonial Optic. (Fernando F.Segovia). 3. Making the Connections: Postcolonial Studies and Feminist Biblical Interpretation. (Kwok Pui-lan). Part II: Empires Old and New. Introduction: Empires Old and New. 4. Renewal Movements and Resistance to Empire in Ancient Judea. (Richard Horsley). 5. Postcolonialism and Imperial Motives for Canonization. (Jon L Berquist). 6. Roman Imperialism and Early Christian Scribality. (Werner H Kelber). 7. Desiring War: Apocalypse, Commodity Fetish, and the End of History. (Erin Runions). Part III: Empire and Exegesis. 8. The Implications of the Text of Esther for African Women's Struggle for Liberation in South Africa. (Itumeleng J. Mosala). 9. Rahab says Hello to Judith: A Decolonizing Feminist Reading. (Musa Dube). 10. The Sign of Orpah: Reading Ruth through Native Eyes. (Laura Donaldson). 11. On Naming the Subject: Postcolonial Reading of Daniel 1. (Philip Chia). 12. Decolonizing Yahweh: A Postcolonial Reading of 2 Kings 24-25. (Kari Latvus). 13. Mark and Empire: “Zealot” and “Postcolonial Readings”. (Stephen D. Moore). 14. Tyranny, Boundary and Might: Colonial Mimicry in Mark’s Gospel. (Tat-siong Benny Liew). 15. Mori “Jews” and Resistant Reading of John 5.10-47. (Mary Huie-Jolly). 16. God at the Crossroads: A Postcolonial Reading of Sophia. (Mayra Rivera). 17. How Local Divine Powers were Suppressed: A Case of Mwari of Shona. Dora R. Mbuwayesnago. 18. Cutchery Tamil versus Pure Tamil: Contesting Language use in the Translated Bible in early Nineteenth-Century Protestant Tamil Community. (Hephzibah Israel). 19. Canonization and Marginalization. Mary of Magdala. Karen L. King. 20. Exodus toward Egypt: Filipino Americans' Struggle to Realize the Promised Land in America. Eleazar S. Fernandez. Index of Names and Subjects. This wide-ranging Readerprovides an extensive survey of the interaction between postcolonial criticism and biblical studies.